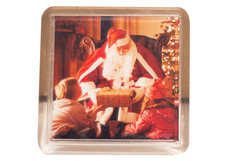 Square, plastic drinks coaster with photo of your choice. 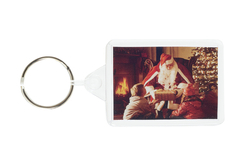 Photo size 80mm square. 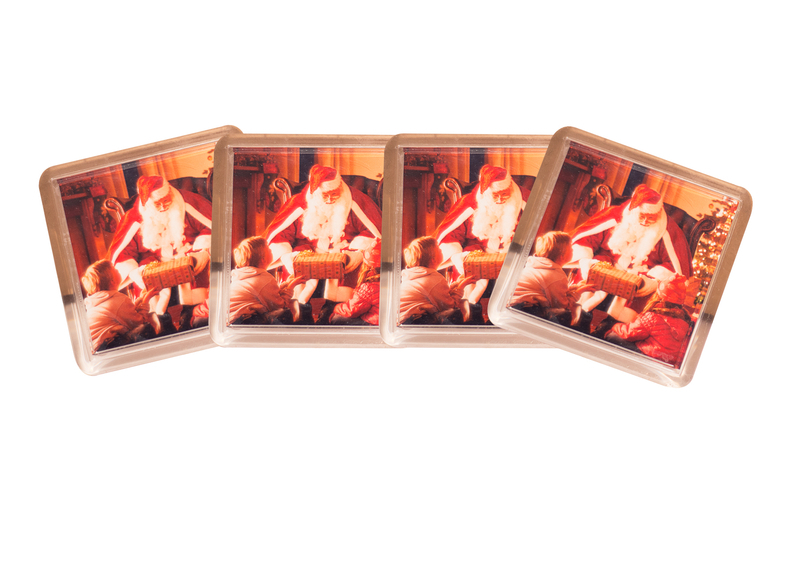 Pack of four - each coaster will have same image unless otherwise specified. Got a question? Message Neil James Photography. Delivery to mainland UK only. Free if collected. An exciting quick way to present and display images. 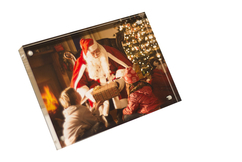 Made from high quality cast acrylic with hand polished high gloss edges. 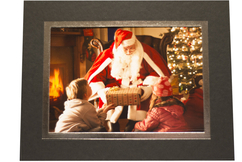 Just remove the metal backing and position the print ensuring it is trimmed..
Matt black card mount containing photo of your choice. Silver border around aperture. Two way strut allows mount to be used as "up" (portrait) or "view" (landscape). Image size 7x5 inches. Glass strut mount made from 4mm toughened safety glass with photo of your choice. Can be used in portrait or landscape format. Image size 7x5 inches. Square, plastic drinks coaster with photo of your choice. 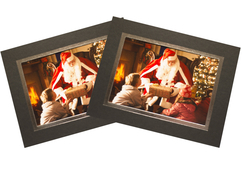 Photo size 80mm square. 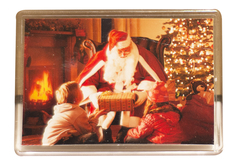 Plastic, rectangular fridge magnet with photo of your choice. Photo size 90 x 60mm. 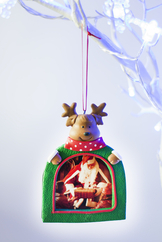 Reindeer themed and shaped Christmas tree decoration with photo of your choice. Photo size 70 x 45mm. 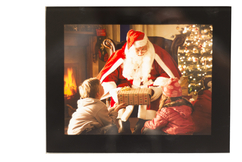 Matt black card mount containing photo of your choice. Silver border around aperture. Two way strut allows mount to be used as "up" (portrait) or "view" (landscape). Image size 7x5 inches. 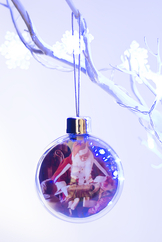 Twin pack (..
Clear Christmas tree decoration with photo of your choice. Photo size 80mm round. 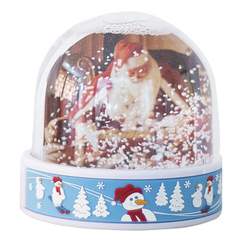 Christmas snow dome containing photo of your choice. Photo size 70 x 62mm. Snowman design. 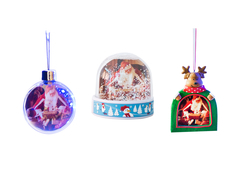 One each of Christmas Snow Dome, Reindeer Christmas Tree Decoration and Christmas Tree Bauble, each containing an image of your choice. *** Please follow instructions on Shopping Cart page to ensure..